Scope The client wanted a modern look for her living room. 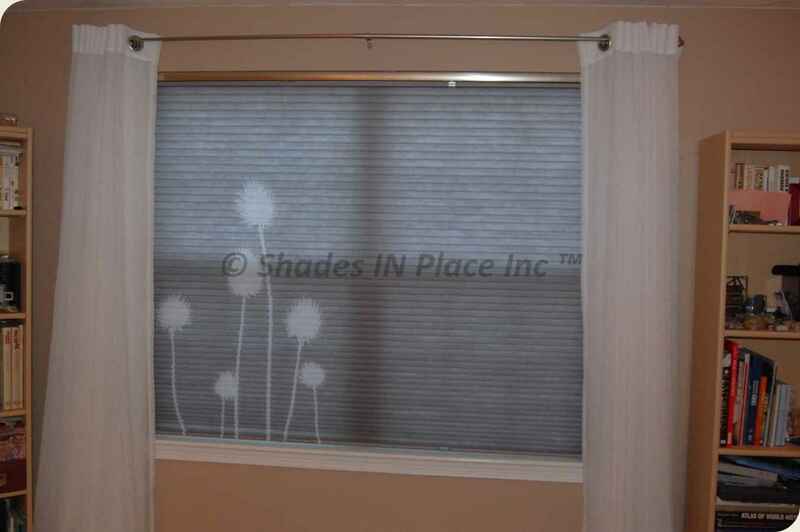 And because she works from home a lot, she wanted the ability to lower the shades to have privacy but at the same time she wanted to be able to appreciate the natural light coming in. 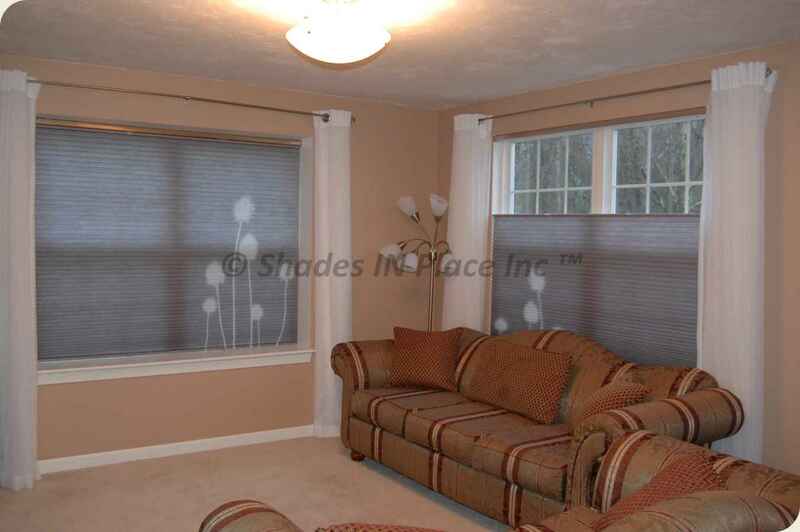 The solution was these beautiful printed cellular shades using cordless lift system with top down bottom up option. 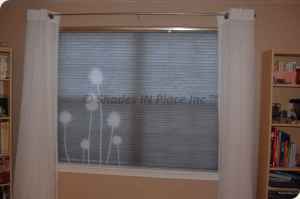 We also used a brushed nickle finish for the hardware to coordinate with her existing drapery rods. Also because the grey tones are neutral, the client will be able to replace the sofa without difficulty to find a “matching” piece.